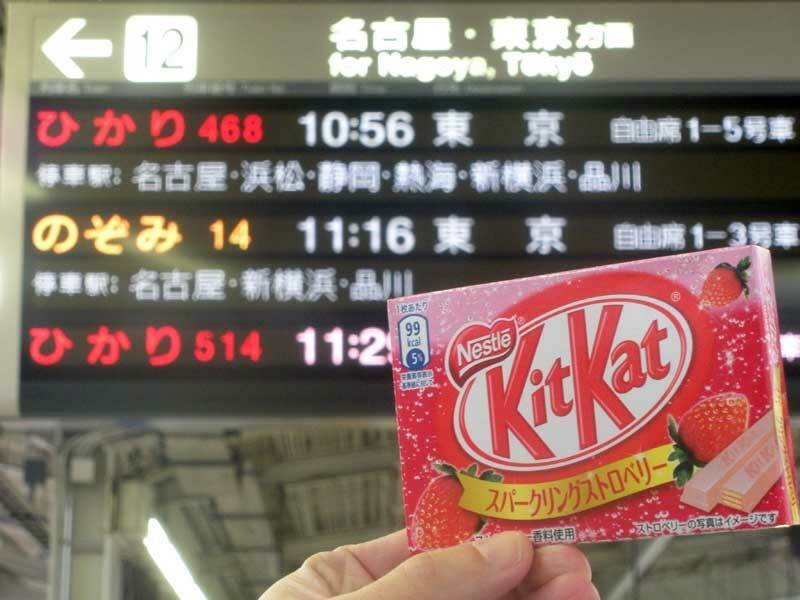 The latest Kit Kat, just before boarding the Shinkansen to Nagoya. Strawberry flavoured, with a hint of “crinkly-ness”, whatever that means. It tasted like magic gum – all bubbly and popping in the mouth. Not so sure I would really recommend this one. 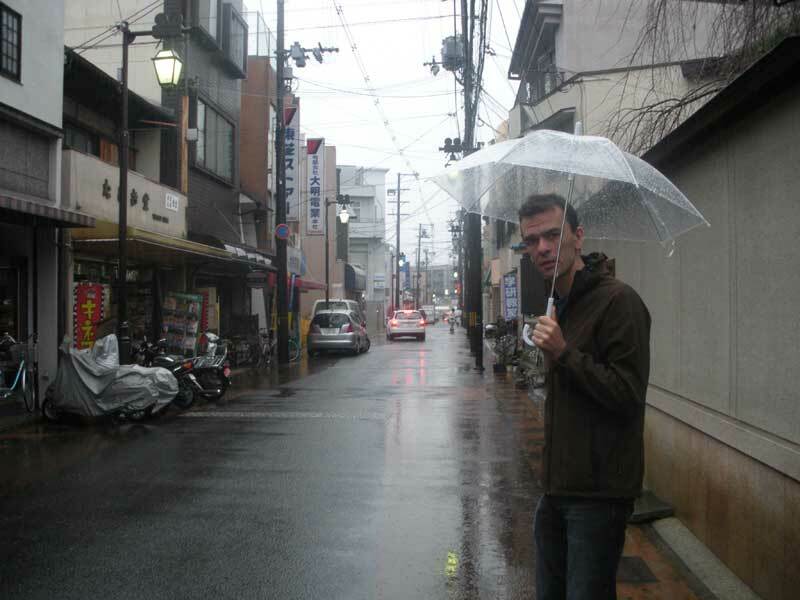 A very rainy morning to be leaving Kyoto. The owner of the hostel kindly gave us a lift to the local train, sving us from wet luggage. This place was a lot of fun. 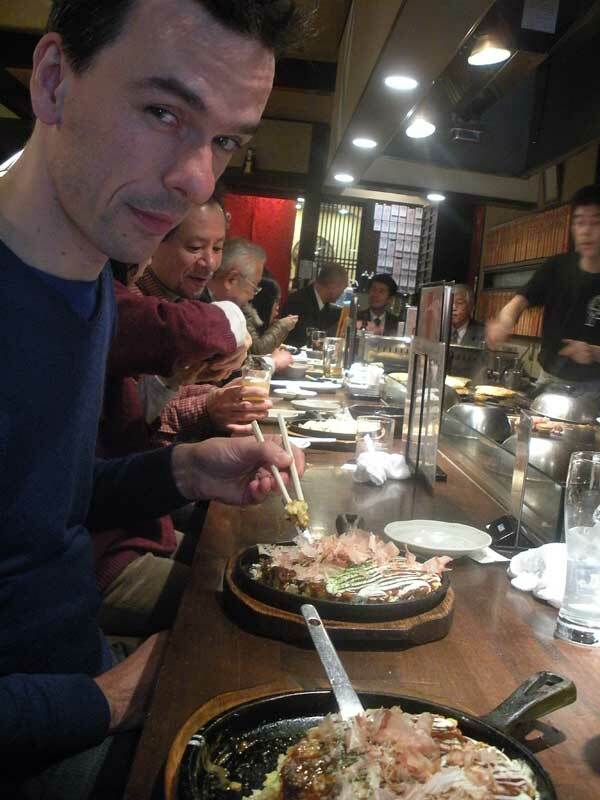 Okonomiyaki restaurant. Cook it up in front of you, and get it straight to you. More like a pub with food than anything else. Steve had an octopus one, Blainie had a pork one. Oishii! The noises, the smell, the smoke – really fun atmosphere. The nice waitress was kind enough to take our photo. Little did she realise we like to take extreme close-ups of our food. This photo is nice, though. 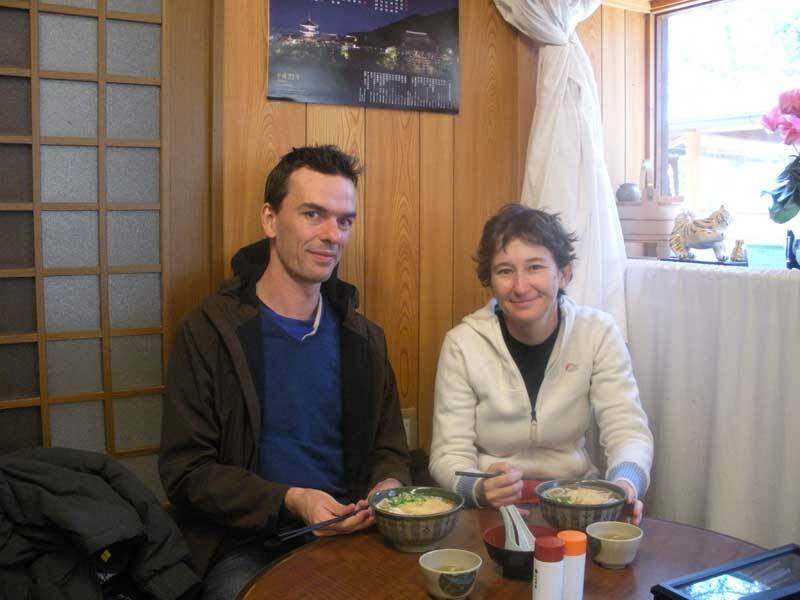 This lunch was at the base of the temple. 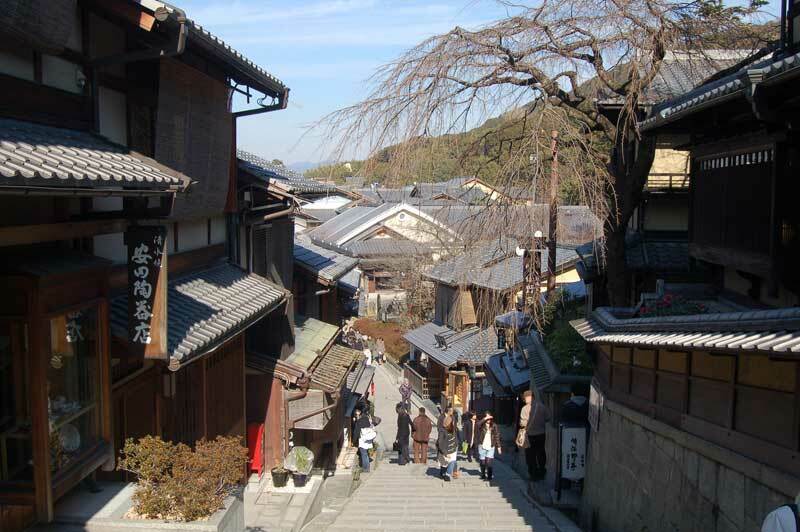 Nicest day, weather-wise, we have had in Kyoto. 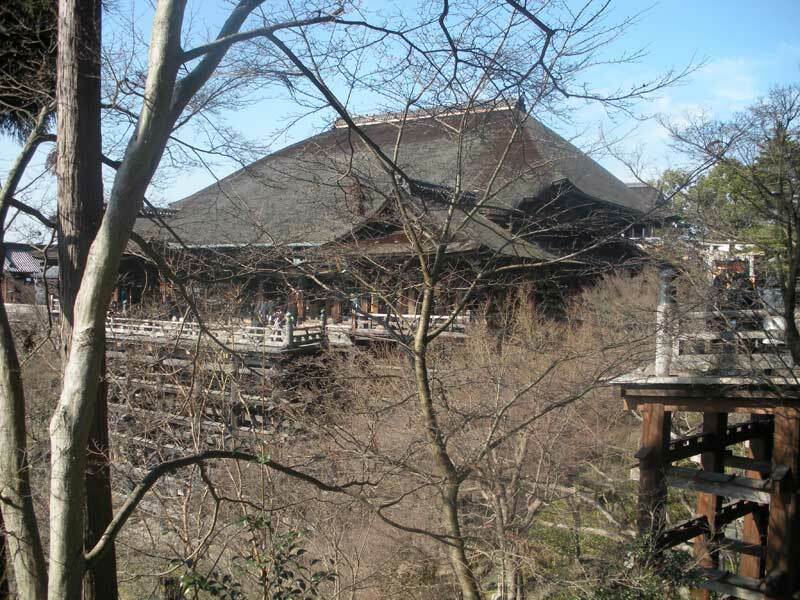 Lovely day to visit Kiyomizu-dera. This is officially Blainie’s favourite temple. Up the road from were we had tea. 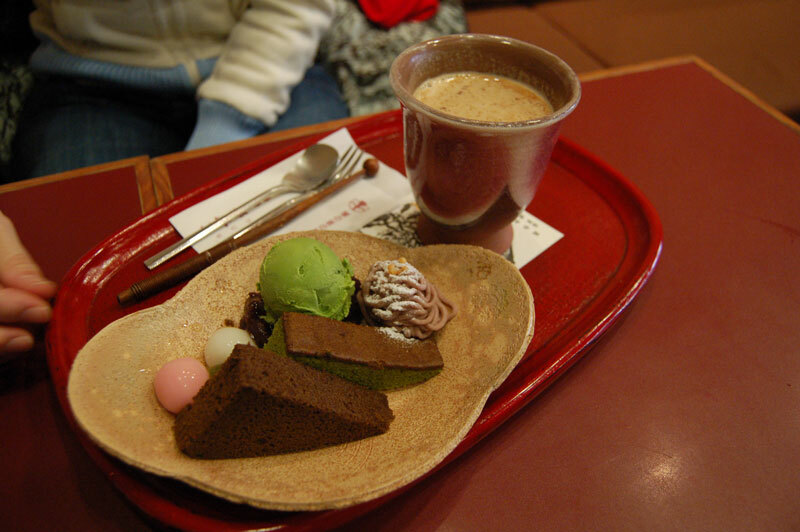 We were on our way to Kiyomizu-dera, wandering the streets of Gion, when we saw this little teahouse. Looked too cute to resist. Glad we didn’t. The ice-creams and cake were great – but the hot milk teas were FANTASTIC. The one in shot is kinda sesame flavoured. Divine.